The African Burial Ground is located at 15th and E. Broad streets in the historic Shockoe Bottom neighborhood, home of Richmond's original 32-block footprint, laid out by William Mayo at the commission of city founder William Byrd, in 1737. Known only as a "Burial Ground for Negroes" on an 1809 surveyor's map of Richmond, Richmond's African Burial Ground was active from before 1750 through 1816. It is notable for being Richmond's first municipal cemetery that was open to the burials of Black people, and for being the site of the city gallows where many of the members of the slave revolt of 1800 were hanged, including its principle organizer and strategist, 24-year old enslaved blacksmith Gabriel, known at the time as "General Gabriel", on Oct. 10, 1800. His burial place is unknown. Long lost to view, the 20th century reclamation process was launched on October 10, 2004 with the placement of the historic highway marker "Gabriel's Execution" on the sidewalk overpass between 15th and 16th streets on E. Broad St, by the Defenders for Freedom, Justice & Equality. 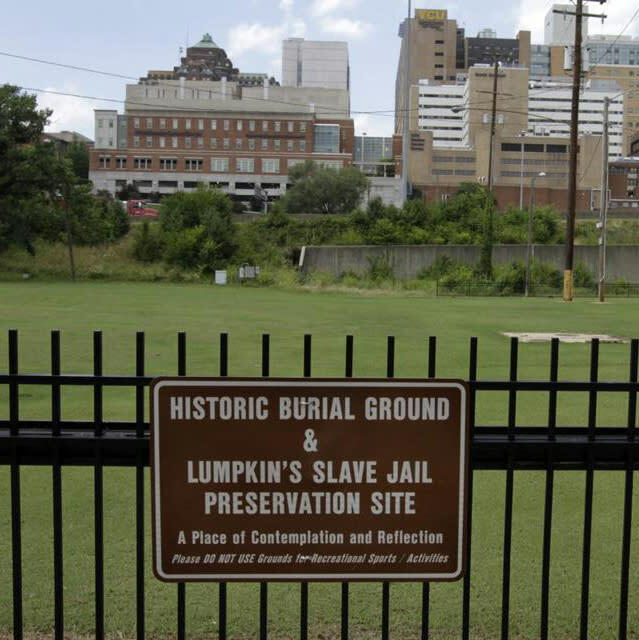 On December 10, the Sacred Ground Historical Reclamation Project, and project committee, was formed to carry out the reclamation of Richmond's Black History in Shockoe Bottom by starting with the Burial Ground and Gabriel's Rebellion.